I waited for 2 long days for a life size image of Giraffe. This is one of my dream shot. Shooting angle and shooting hour of the day was most imporatant to get this perfect life size shadow. 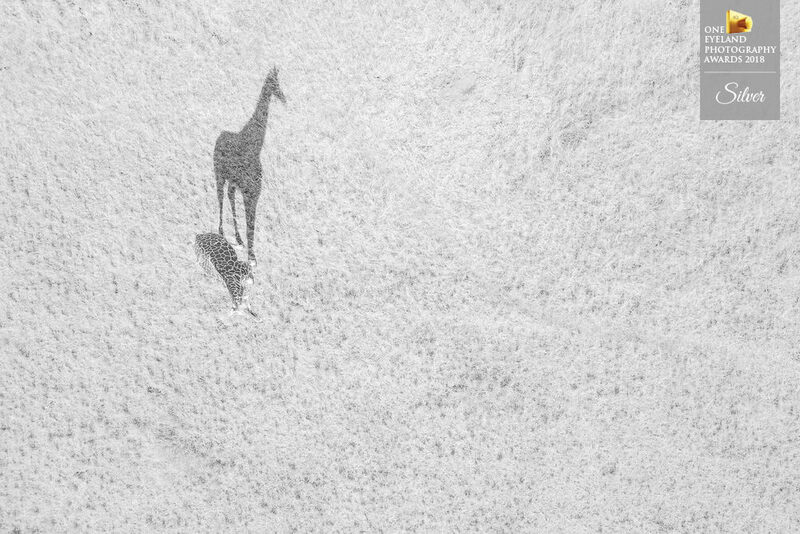 In one look you will feel the shadow is the real giraffe but in reality it is other way round. And one more interesting part is the shadow giraffe takes the body design from the grass which perfectly fuses with its natural design.